Why some have been or are so good at reaching their goals while others seem to forever stumble at the threshold? You are not the first one and will not be the last one to ask this question but the fact that you do ask it, can very well be the very first step in getting from WHY are they successful – the wondering stage – to HOW can I be successful? – the practical stage. The truth is, sometimes even those people who have made it big can honestly offer little enlightenment on the reasons behind their accomplishments and that because they don’t necessarily have an objective, external perception of their own success. However, there are others who do have – through extensive studies and research. What are they telling us? There’s something successful people do or learn to apply that enables them to achieve their personal and professional goals. Starting to slowly but in a very determined way introduce into your life and routine certain principles and rules will make you easily understand how they can virtually change your career, your life, and, to give a more dramatic note, your destiny. You will learn to learn from others’ examples – to find those that most suit and help you. Your first step into the one thousand miles journey doesn’t have to be a perfect one. It just has to be. Jerry Seinfeld’s first time on a stage would have hardly left anyone thinking “wow, what a great comedian this guy will most definitely become someday!” His first experience as a professional comic would fall for most people under the ‘failure’ category. His stage freight so got the best of him that he virtually froze and couldn’t speak words for what seemed to be an eternity and his lack of coherence and tongue-stumbling ultimately got him jeered offstage. His second experience as a professional comic came the very following day and it was a total blast. People loved him. That is not to say that the distance from failing to succeeding is always that short even if you are the most determined person on the planet, or that, once you’ve gained success you bid permanent farewell to ‘failure’ – no, that is to say that you can change almost any adversity into an opportunity and you can turn hardships into achievements when no one believes you can. Not even you. Whether it’s in a job, in a new business, in finding an agent, or in switching careers, everyone fails sometimes. In some situations, people fail a lot before they become successful. However, when you’re facing a large amount of rejection or are continuing failing, it is really, really difficult to remember that you aren’t alone in that – and, more importantly, that the fact that you are currently not succeeding does not mean that you will never succeed. When you’re facing failure, though, it can really help to that you’re in good company. Here is a list of some great failures who later went on to become great successes. The Beatles weren’t always the Fab Four. Before they were fab, the Beatles were rejected by a whole slew of record labels, including one that infamously announced, “The Beatles have no future in show business.” Of course, the Beatles ultimately became one of the greatest rock groups of all time, at one point managing to claim all of the top five spots on the Billboard singles music chart. Jay-Z was rejected by every single record label in the business. However, eventually he found success by going on to create his own record label. Now he and his wife Beyonce are together worth $900 million. Bill Gates dropped out of college at one of the country’s most prestigious universities and seemed destined for an unsuccessful career when his first business, Traf-O-Data, failed. Of course, ultimately he went on to found a company whose name is almost synonymous with modern-day computing. Although Babe Ruth is famous as one of the country’s greatest baseball players, at the time of his retirement he held the record for the most strike-outs in all of Major League Baseball. In that sense, he may have failed more than any other player of his time – but his successes have made him remembered long after many of his fellow players’ names have been forgotten. Everybody flirts with the idea of having the chance to start anew especially when it comes to those projects or changes they’ve been longing to undertake. Fortunately for us, all, at least once a year it’s easier to make resolutions and vow to take that extra step closer to our goals. Unfortunately, however, more often than not, with the passing of another year we just added to the pile of unfulfilled resolutions. So what to do to make sure this time around you’ll make good on that promise to yourself? Here are some suggestions meant to help you connect better to the energy of this new year and get that super-start you want and are capable of. 1. Mind your eating habits. At first impression you might be surprised that we choose this to be the first principle to consider for the year ahead; however, since always one thing leads to another, eating healthy, at reasonable hours, and without involving other activities during meals would mean more energy, more discipline, more awareness towards a healthy body and a healthy mind. Start paying more attention to what circulates your head and leaves your mouth; the quality of the thoughts we let in and out, in other words, what we allow ourselves to be concerned with shapes our reality. Fixing a higher standard for yourself in terms of language selection is a whole lot more crucial than you think in achieving excellent results. (We just loved the pun here) This has to do with you being determined to commit to scheduling a fitness routine daily. It can be joining a yoga, taiji or karate class, hiring a personal trainer, or working out in your back yard to the delight of your neighbors’ kids. Doesn’t matter. Just do it! Yeah, this means getting smarter with how you let things affect you (also mind point #2); notice where you get your stress from – maybe it’s external sources causing it or maybe it’s mainly just you used to being your worse enemy. Whatever the cause, learn to step back, relax and take the pressure off your shoulders. This one implies so many aspects on so many different levels (see our other posts on the topic). It would be a great idea to kick start the New Year by introducing some changes into your living or working space. This will create in turn a very optimized mood that can unlock your creative potential which leads us to the next step on the list. 6. Get more creative, get inspiration from others. Allowing yourself to find that little or bigger something that pulls out your creative and inspiring self is one of the best things you can do for yourself when starting fresh. An activity meant to make you enjoy life and yourself and maybe others as well more! You can be very help finding a model or a mentor (or more) to inspire you. 7. Kick off a business plan. Had this crazy idea for a long time but just always found excuses to postpone acting upon it? Take this year as finally your chance of getting it done! Write down your tasks, objectives, plans and ideas and develop a strategy. Don’t shy away from improvement and admitting your limits. Get in the research mood: read books and any useful material on the topic. Make it happen! This may be just as simple as changing your hairstyle or revamping your wardrobe. It will inspire you, build confidence and awaken the appetite for new! 9. Do something you are afraid of doing. Although it doesn’t have to be a daily mission as Eleanor Roosevelt told it, but approaching from time to time things you are not normally comfortable with, will empower your sooner than expected with an invigorating felling of self-reliance and ‘bring it on’ attitude. Love the challenge! 10. Make time for yourself (read being alone). In case you don’t already appreciate solitude, it’s time you did! How can you ever accomplish something great if you don’t take the time to meet and know the accomplisher? If you haven’t noticed by now, all successful people talk about the importance of meditation. That is time spent ALONE. You need your own space and that is perfectly healthy and normal. How that is defined, depends on each of us but once you learn what to do with yourself when alone, you will never feel lonely in that depressing way ever again. Ever. Again. (11). Don’t forget your resolution! Making resolutions and setting up goals feels great. However, not getting to work right away will soon change that feeling into one not so rewarding and pleasant. Most of people don’t even get past the first starting steps and that’s because they begin the year with… procrastination (you know, the I’ll start from tomorrow/Monday/next week mental frame)! Any-second-longer-it’s-too-late attitude is a life changer. Keep your goals/plans written down somewhere where you can see them everyday so you’ll be constantly reminded of your mission and about your next step because, very often, just to protect ourselves from self-esteem shrinking the mirror of failure would create, our mind chooses to apparently forget about initial plans. So here it is, you have a great list in front of you that only points to the one you should be doing right now yourself for this year in case you haven’t already done it. To be successful in today’s economy, you need to have business acumen. Business acumen refers to understanding the world of business – business policies, trends, market strategies and competition, as well as to be able to predict future developments and the way in which they can impact the organization. Business acumen makes people react faster and smarter. People who possess it can extract the key information from a situation, establish smart goals, find solutions to problems and implement solutions. They can identify what needs to be changed and they can manage change effectively. A sufficient level of knowledge helps take practical decisions and understanding of the business environment means they can take part and contribute during decision-making meetings. Reading business books and magazines will help you understand key concepts related to business. There are countless such publications available for free on the Internet or at your local library. You need to differentiate between valuable business books and less valuable ones given the thousands of titles out there, but you will find valuable information in your reads. Business books are written by experts in their fields, and contain the results of thousands of hours of research, not to mention valuable information about their successes and failures. It’s quite possible there are training programs available to you within your company. Even if there aren’t, you can always ask questions to colleagues from other departments. There are also potential mentors in your family, friend circle, or community. Everyone is an expert in something – find out if they can help you develop your business acumen. Ask these people to help you and guide you, and most of them will feel flattered that you think of them as experts and trust their opinion. An MBA costs money, but it could be worth your time. In a classroom ideas flow freely, and you can benefit from the experience of skilled practitioners if you embrace the experience. If you are like me, you have probably wondered many times what exactly is that makes successful people…successful, what sort of principles they apply or what secrets they know that help them be the kind of people we admire; or maybe you have simply asked yourself what you can do to develop a richer life, one that would ultimately include your goals and dreams made real. 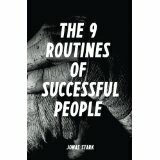 And if you do take some time for research, which I did, you will actually learn that there are indeed some simple routines all those who have made it to the top have implemented into their lives. It’s all about having a game plan and sticking to it because once your understanding of habits and routines goes past automation and obligations, you will tap into a new type of power and freedom able to fuel your motivation and willpower in a spectacular way. Goals are divided into short, medium and long. Each of these types, however, when poorly managed or planned is going to affect the others. It is therefore highly recommended that you start your day by reviewing or rewriting your goals so that you reinforce daily both the motivation and the awareness they need in order to grow. Making decision will become much easier and results will start matching your desires sooner. It goes without saying that working-out has tremendous health benefits. Successful people, however, are also aware of and want to take full advantage of the benefits physical exercises bring in terms of stress level reduction and brain function optimization. So often we neglect exactly those things we love doing and we dream about; if, for example, dancing is what makes you happy then probably dancing should sit at the top of your daily to-dos because otherwise you will never allow it to become as important to your life as you need it to be. You could incorporate it as part of your morning work-out routine. Developing principles based on your determination to lead a happy, fulfilled life which implies helping and serving others as well, is an extremely powerful and often overlooked tool on your path to manifesting your dreams. They will become deeply connected to your sense of identity and purpose. Most of us don’t respond well to working hard or harder rule, that’s why replacing the notion of “hard” with that of “passion” may be one of the first things we can do to make sure we are putting in the necessary work our success requires. When you employ passion, you employ time and dedication and success is always their fruit. Remember that we are talking about habits and routines so the fact that you kind of apply them or that you apply them periodically does not count as a strategy or as devotement to your goals. Only by pushing yourself every single day to keep yourself motivated and “in the game” counts as staying productive and focused. One of the most important aspects when striving for productivity is maintaining mental and physical freshness. That means we should always pay attention to the balance between the energy spent and the energy recovered so we don’t find ourselves speeding up on the highway with an empty tank. Remaining permanently attached to your work and connected to a blatantly buzzing world can take its toll on you drastically. Successful people not only know how to work but they have a pretty good idea on how to relax too. Reserving one day a week for mental and spiritual cleansing where your computer, mobile phone and other such devices become irrelevant is beyond recommendable. Believe me, you will thank yourself for this once you restart work. Whether it is our business or our life altogether that we set out to improve, we need to understand how relevant are our relationships to building our way to success. Genuine contact with people can be a huge ramp for your career or business. The first principle you will learn is reciprocity. When trying to reach your goals, you’ll have to pay attention to others’ needs and be ready to help them and you will see how your relationships will be redefined as a turbo engine under your willpower hood. In addition to in-person visitors, the modern worker is bombarded by phone calls, instant messages, and emails. When you add in regular appointments and meetings, sometimes there is just so much to do that you can’t get anything done! One way to avoid this is to be stricter about managing your interaction with co-workers. You might want to designate certain times of the day for managing emails or returning phone calls. Or maybe you’ll want to start closing your office door when you need to work uninterrupted. After all, interruptions can seriously decrease office productivity and leave you feeling constantly behind the 8-ball. It’s probably a no-brainer that sleep deprivation can make you feel way more stressed. It’s not just major sleep deprivation that can affect your mood, but also chronically getting just not quite enough hours of shut eye. According to the Center for Disease Control, at least 60 million Americans aren’t getting enough sleep – do not be one of them! If you eat poorly, your overall mood and stress levels will be significantly affected. No, you don’t need to start a non-gluten, non-GMO, vegan, macrobiotic diet – but just don’t make McDonald’s French fries your main food group. After all, eating poorly can cause you even more stress down the road if you end up with premature health problems. When you’re angry or frustrated, it’s easy to just dwell on your feelings. Don’t. Even if you are not the type of person who finds that things naturally roll of your back, you can still try to be cognizant of your emotional state and step back to take a deep breath when a situation arouses your ire. Not allowing aggravating situations to stay with you throughout the day will go a long way toward relieving workplace stress. 5) Stop stressing yourself out. A surprising amount of stress is actually self-induced. Internal negativity can stress you out as much as or even more than external events. Having the right attitude can go a long way toward reducing your workplace stress. The Alpha Book explains the traits of an alpha, including charisma, the process of making strong and rightful decisions, how to best communicate with others at multiple levels, and how to turn your daily actions into fruitful prospects. Each of these traits is going to be explained in separate chapters, followed by examples of how to develop them in a creative way and apply them in your day-to-day activities. Download the Alpha Book for only $0.99. Studies show that somewhere between one-third and half of Americans are introverts. Since introverts are, almost by definition, somewhat shy, their nature can make it difficult for them to get ahead in the business world. Introverts often feel exhausted from being around groups of people, tend to prefer writing to talking, and sometimes have difficulty saying no. Those are all traits that can be difficult to manage in the business world. Nonetheless, Bill Gates and Abraham Lincoln are both examples of extremely successful introverts. But how did they do it? Just what can an introvert do to get ahead in the highly social world of business? When you know that you’re going to be in a situation with high social expectations, have a game plan. Prepare for important meetings by thinking about what is likely to be said and planning out your potential responses in different scenarios. If you’re going to be in a situation that will have lots of important networking opportunities, plan ahead what you might say to people when you approach them. If you don’t plan things ahead, you’ll likely fall back to the old habits that are most comfortable to you and simply not do much of the talking. Push yourself to be more social than you might normally be. If you’re in a meeting or conference call, try to make sure that you make a comment early in the session. The longer you wait to jump it, the harder it is. So push yourself to get involved early. Also, try to communicate more often. Don’t wait to be asked for updates; volunteer information to your boss and coworkers. As with any new skill, practice makes perfect. The more you participate in meetings and the more you speak up, the easier it becomes. Rome wasn’t built in a day. Make a commitment to keep trying and eventually it will get easier. Explore what in particular you find most exhausting and overstimulating. Maybe it’s loud work environments, large groups, or social media. Different introverts will have different things that are most bothersome to them. Many of these situational triggers can’t be avoided altogether – and some, like group meetings – may not be able to be avoided at all. However, you can try to minimize your exposure to the things that bother you the most and focus on developing your social skills in less stressful situations. The term “self-starter” is thrown around a lot these days. Employers say they want self-starters to join their businesses, people talk about being self-starters in describing their work habits and career goals, and multitudes of purported self-starters abound in résumé slush piles. But what does it really take to occupy this vaunted position, to become a real master of your own destiny and leader of others? The entrepreneurial spirit is something that comes naturally to only a few people. It is a drive to carve out one’s own niche in the marketplace, and not just follow the well-worn paths of others. Being an entrepreneur requires discipline, self-confidence and flexibility. It sometimes means ignoring the warnings of naysayers and persevering with your vision even when you’re the only person who believes in it.